The following images are from WikiRadiography (WetPaint) here. 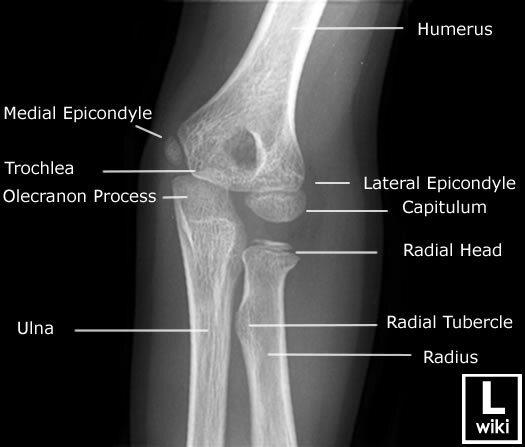 AP radiograph of the elbow with anatomy labels. 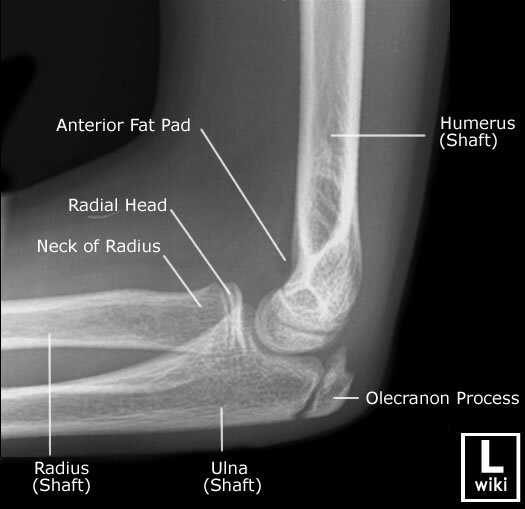 Oblique radiograph of the elbow with anatomy labels. 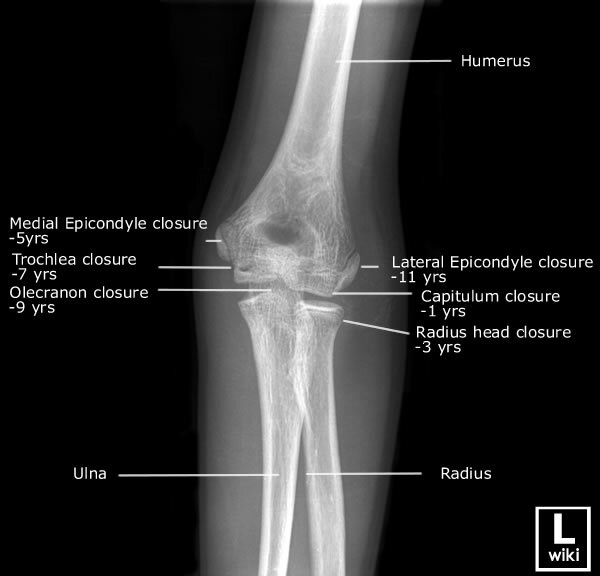 Lateral radiograph of the elbow with anatomy labels. 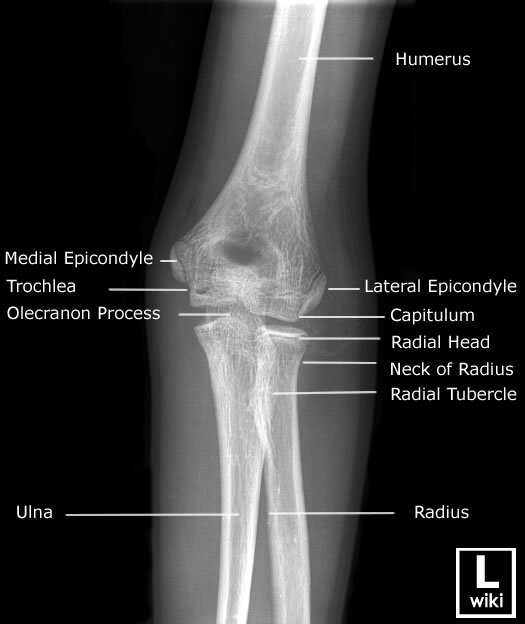 Ossification centers of the pediatric elbow. See a lateral epicondyle avulstion fracture here.